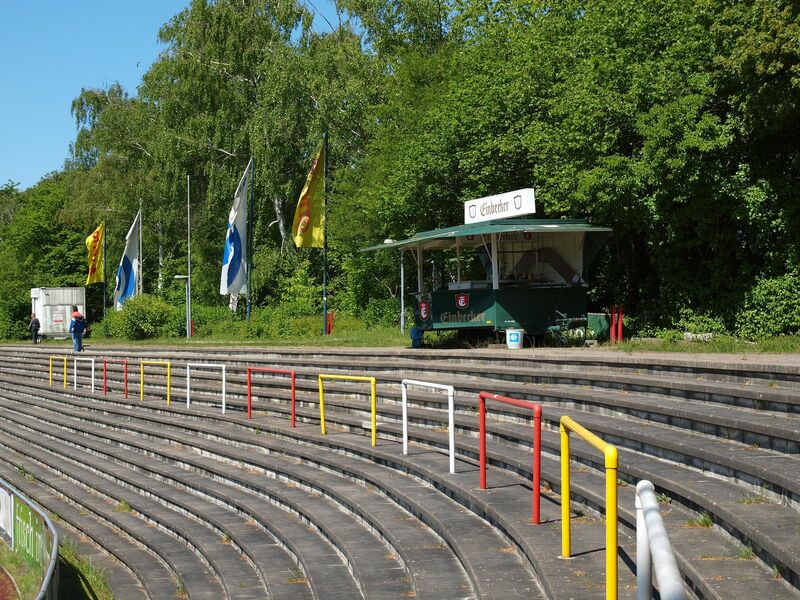 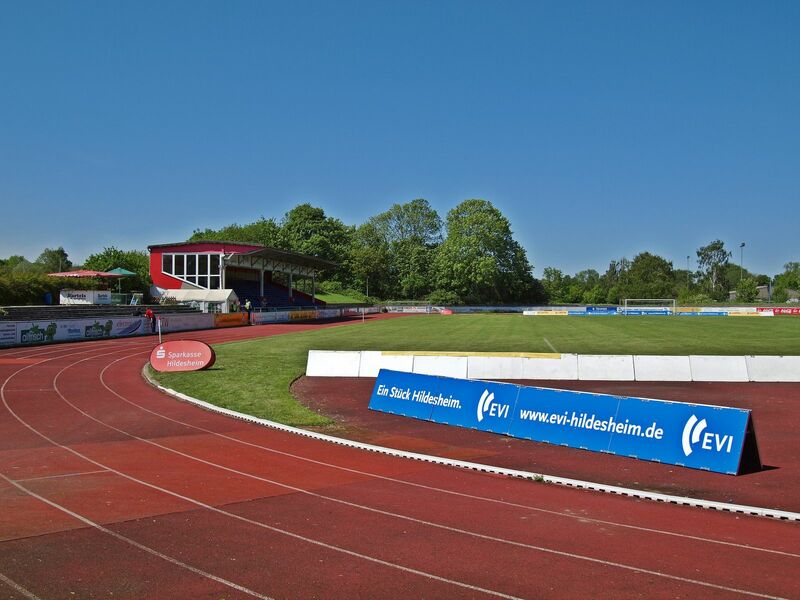 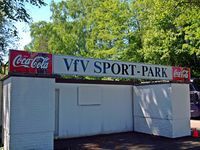 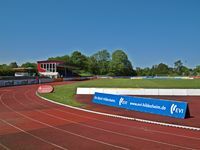 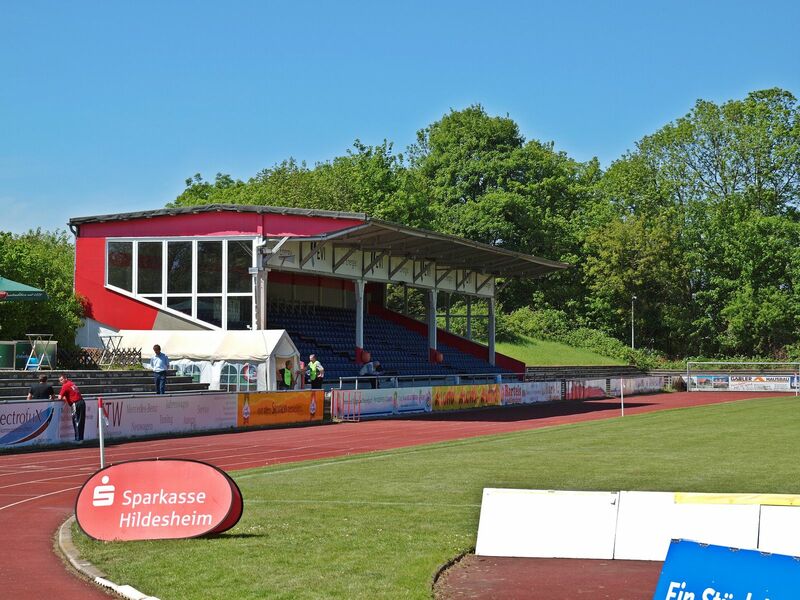 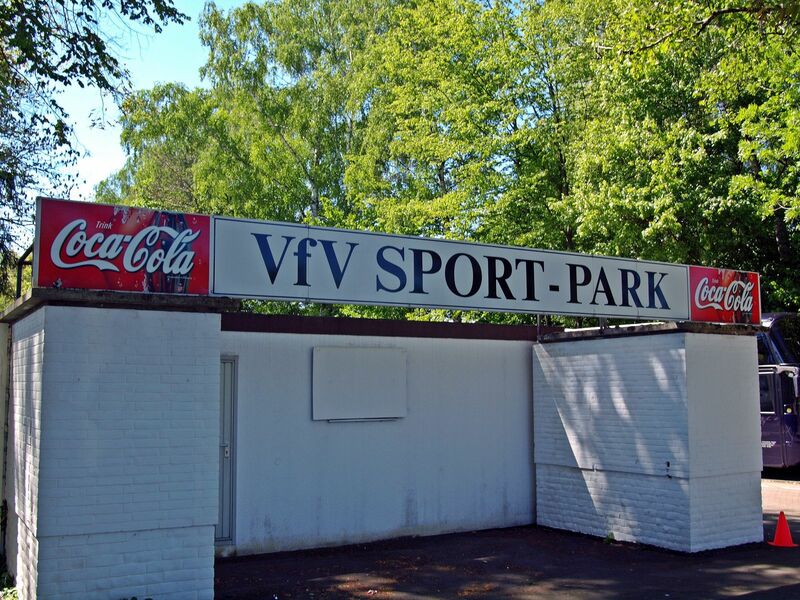 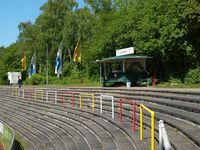 First stadium in this location, west of the Hohnsensee lake, was built in 1930 and served athletic events. 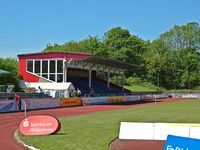 The current venue dates back to 1945 and retained most of its historical form. 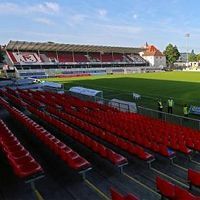 The modest main stand with wooden roof structure holds 670 people on individual seats and was renovated in 2011, when the stadium gained its own VIP area. 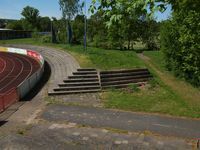 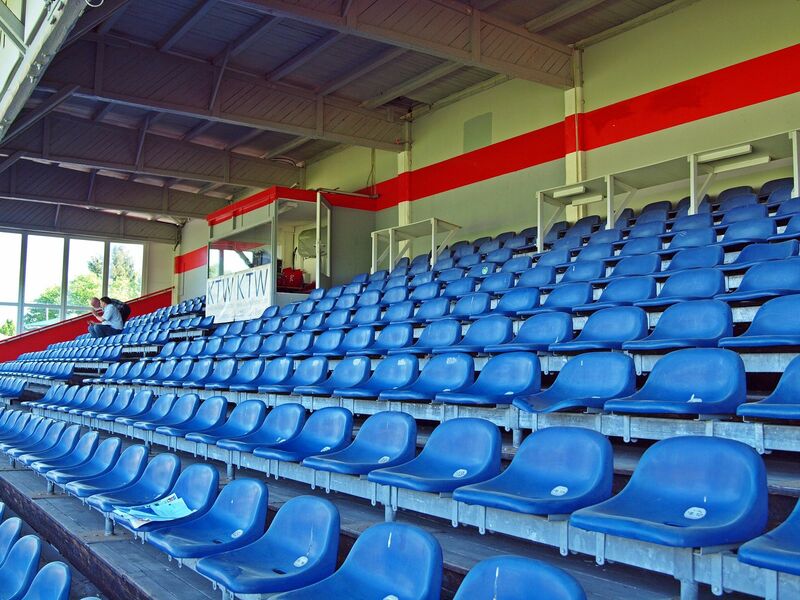 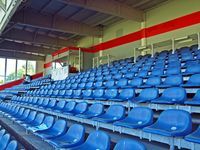 Remaining spectators may use terracing of up to 18 rows on three remaining sides of the stadium.